Of late, Instagram has been rolling out many new features to stay relevant among the millennial crowd. It just recently pushed out a holiday-themed update, but the Facebook-owned company also seems to be testing other new features that’ll make the platform more fun and interactive. All these tests include several new functionalities that users have been requesting for years, like the regram feature. The good news is, you will be able to try out bleeding edge Instagram features by simply joining the Alpha testing group for the app. 1. 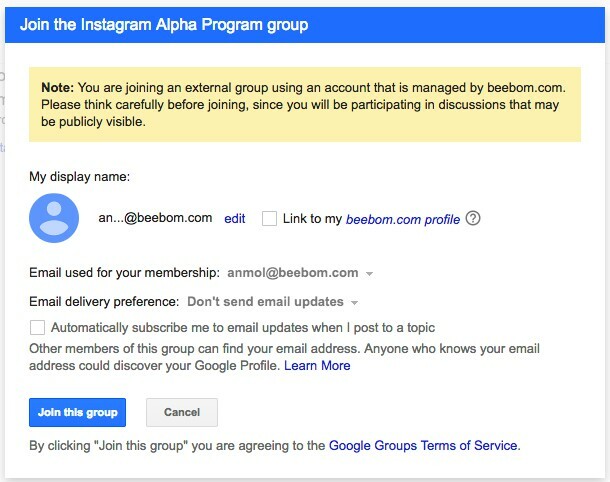 Navigate to this link and click the “Join Group” button to become a part of the official ‘Instagram Alpha’ Google Group, so you can receive the latest features for the photo-sharing platform. You can then choose to receive every group update or daily summaries in your inbox. 2. Once you join the Google Group, you’ll need to visit this link and click the ‘Become a Tester’ button to register yourself as an Instagram app tester. You can do the same by opening the Play Store app on the mobile and tapping the ‘Join Beta’ button at the bottom of the app page. This also results in you joining the test program for the app. 3. On tapping that button, you’ll be registered as a tester for the platform. 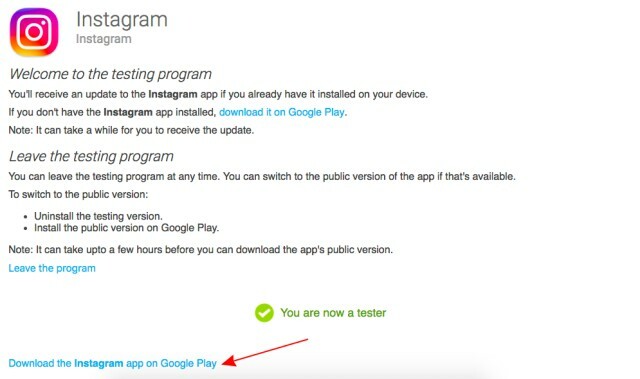 The next step involves downloading the app from the Play Store, so you can either click this link or the one provided at the bottom of the Instagram testing program page to install the app. Note: If you already have the Instagram app installed on your Android device, then you’ll see an update for the app really soon. And that’s it. 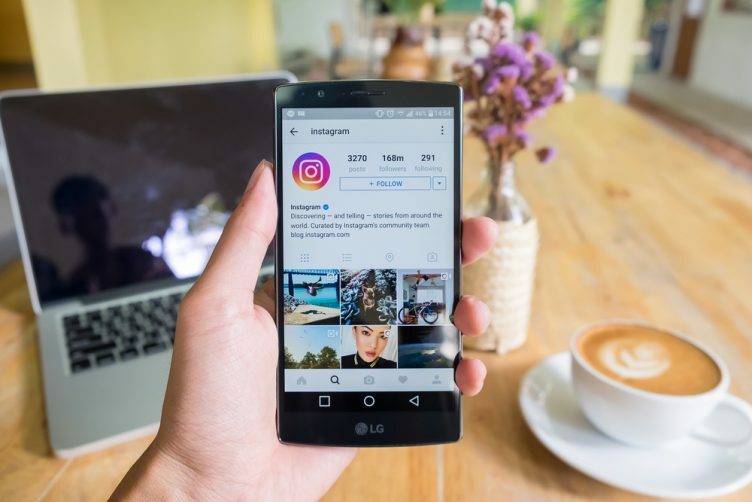 Instagram will now start rolling out multiple updates each week to test out new features that it eventually plans to roll out more widely. However, it is also possible that the company may can some features (that you liked a lot) and it may never see the light of the day. Also, do note that even though you are joining the beta program of the app, you will receive alpha builds as updates because you have also enrolled in the Instagram Alpha Program. As stated beforehand, the alpha app might be quite buggy and crash on you at any instant. If you get frustrated with the same, you can exit the beta group by tapping the ‘Leave’ button at the bottom of the app page on the Google Play Store. You then simply need to uninstall the alpha and reinstall the stable version of the app. So, are you up for this adventure in alpha testing lands? Let us know your thoughts in the comments down below. Also, do share any new features that you discover in the alpha.